Posted by Phoebe Macon on August 23, 2015 at 12:43am in GENERAL DISCUSSION! Article 10, sections 1000 and 1001, allow the city council to create by ordinance advisory councils or commission that in its judgment are “required,” and to include in its annual budget “sufficient appropriation of funds for their efficient and proper function.” This does not include the payment of a salary to the mayor or any council member for being a member of any commission. Compton City Charter Article 5, Section 504 is controlling as to the compensation of these individuals. Consequently, “sufficient appropriation of funds for their efficient and proper function” of the commissions does not provide the legal justification of payment of a salary to the mayor and city council members for their membership on these commissions … California Penal Code Section 424 states that any officer of this state, or any county, city, town, or district of this state, and every other person charged with the receipt, safekeeping, transfer or disbursement of public moneys, who without authority of law, appropriates the same, or any p0rtion thereof, to his or her own use, or to the use of another, is guilty of a felony. Los Angeles Times, Brown received $4,000 a month in addition to her salary of $600 a month; the four council members received an extra $3,400 a month for their participation. The mayor makes $63,000 annually, derived from her monthly council stipend, her presence on four boards and commissions, and her auto allowance. The council members make $55,800 each year, with some receiving an extra $150 a month for the use of their cellphones. A similar, albeit more extravagant, scandal in the nearby City of Bell led to convictions of several city officials. 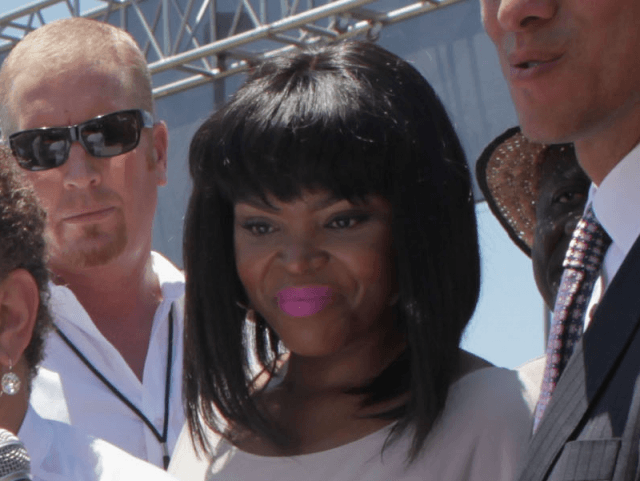 Compton Mayor Aja Brown in 2014 outside the Compton Civic Center. Compton’s mayor and council members have been illegally boosting their salaries for years by paying themselves for commission meetings that sometimes lasted only about a minute, the Los Angeles County district attorney’s office said. In some cases, officials were paid “whether or not the commission member attended the meeting,” the prosecutor’s office said in a July 17 letter to the Compton city attorney. The letter was obtained by The Times on Thursday. Mayor Aja Brown was paid an additional $4,000 a month on top of her authorized salary of $600 a month and the four council members received $3,400 more a month, the district attorney said. An earlier version of this post said Compton's mayor was paid $4,000 a year on top of her salary. She has been paid that amount monthly. Including their monthly council stipend, pay for sitting on four boards and commissions, and their auto allowance, Compton council members collect $55,800 annually, and the mayor pulls in $63,000. Additionally, some council members also receive $150 a month in a cellphone allowance. The district attorney's letter is likely to evoke comparisons with the salary scandal in the city of Bell, although the amounts of money involved in Compton are much smaller. The practice of municipal officials' getting paid extra for briefly attending commission meetings, along with exorbitant salaries, was a central part of the successful criminal prosecution of four council members and two top-ranking Bell officials. In the letter, the district attorney warned that Compton officials could be prosecuted if the high payments continue. “There’s no authority of law for the City of Compton to pay public officials money from the public coffers outside the parameters of the city charter,” the letter said. A 2010 investigation by The Times found the meetings of the highest-paying Compton commissions often lasted the shortest time. The stipends ranged from $300 for the Urban Community Development Commission to $1,000 a month for the Housing Development and Gaming commissions. Council members also earn $1,100 a month for sitting on the Public Finance Authority, and the mayor is paid $1,700. The salary-padding practice predates the tenures of Brown and at least some of the current members of the City Council. Former Mayor Eric Perrodin and some former council members benefitted from the practice, records show. Jessica Levinson, a clinical law professor at Loyola Law School, said the D.A.’s letter raises question about the meetings’ merit. Last month, Brown proposed a ballot measure to cap council members’ compensation at the city’s median household income ($42,953 in 2013). But the council rejected her proposal. “There are some city leaders that are sadly vested in maintaining the status quo,” Brown said in a statement. Compton City Atty. Craig Cornwell said he plans to meet with the district attorney's office this month to discuss the situation. A local blog, 2UrbanGirls, first reported on the district attorney's letter. This does not surprise me at all about this mayor. I never felt she was good for Compton. She never lived in Compton anyway she lived and grew up in Pasadena, went to USC and came to Compton for the 2014 election because she was fired from her previous job at USC. She has said that her grandmother and her mother use to live in Compton and that her grandmother was supposedly killed in the city. My family, friends and I have found no evidence of any of that. No one in Compton as far as I've heard had ever heard of her before last year's election. She is a conniver, a crook and a liar. I believe that she is a plant that was sent to Compton by L.A.'s Mark Ridley-Thomas to anonymously do his bidding and his dirty work in the city of Compton. Last year Mark Ridley-Thomas and Aja Brown both wanted to link Compton to Pasadena and have a train line going from Compton to Pasadena and Pasadena to Compton but when it was put on the ballot in Compton and Downtown L.A. it was voted down. She is on Ridley-Thomas payroll and now because she is Mayor of Compton she is on Compton's payroll. Don't let her smile and her talk fool you she is a straightup thief. I also read that she recently went to Africa to do some charitable work and will be going back to help there. Help those in Africa? She's not even doing anything in Compton. Its a shame with all of the huge potholes up and down the Compton streets tearing up residents cars. But why should she care she has no ties to Compton because she never lived in our city and she could care less. And I read on one of the groups on Facebook that someone who lives in the same Townhome complex as the Mayor does, said that the only person that they ever see is the Mayor's husband once a week picking up the mail in the complex. And the way that the Townhomes are designed anyone can see if they truly reside there because their lights are never on. The Mayor Aja Brown & her husband only uses the Townhome in Compton to pretend that they have a Compton residence where they reside. And who's footing the bill for her Africa trips? I sure hope it's not the City of Compton? Mayor you need to do some work in Compton for the salary that you are pulling instead of trying to milk Compton dry and not doing nothing to earn your salary. And if ? and when ? Dr. Dre gives the money that he promised from his Compton CD sales for a so called Performing Arts Center to supposely be built in Compton for the residents who do you think will be in charge of that money? I don't know who our next mayor will be but I for one sure hope that it will not be Aja "no caring" Brown again. I found this photo of the Compton Mayor Aja Brown with the District Attorney Jackie Lacey along with Mark Ridley Thomas and an unknown lady. Could it be that the District Attorney gave Ms. Brown a warning because she knows her? Why did the Ex-Mayor Eric Perrodin never charged for his $$$ money crimes while he was Mayor in Compton? Was it because he use to work for the District Attorney's office and they would not bring charges against their own? And why was Ex-Mayor Omar Bradley the only Mayor of these three that was brought up on charges, arrested then sentenced, and many years later found not guilty of taking $$$ money from the City of Compton. Seems to me that the corruption is coming from the L.A. County District Attorney's Office. Out of these three Mayors, Ex-Mayor Omar Bradley did the most for the City of Compton of all three of them and he was the Mayor who lobbied and got the large companies to come to Compton and bring their businesses to the city. Ex-Mayor Omar Bradley really got a raw deal. Mayor Aja Brown and Ex-Mayor Perrodin need to be arrested and sentenced as well. $80,000 seems to me to be a reasonable income for the job omayor of a city the size of Compton. I think a mayor should be paid the full $80,00 and fined for missing any meeting or events. The city of Compton has, for some time, been a "target" for these kinds of controversies. Truth is, these officials are, in all likelihood, not doing anything that their White counterparts aren't ALSO doing in their cities. But because Compton has the potential to become a beacon of hope and empowerment for Black and Brown people, whenever it appears that said potential is about to be realized, then comes the "sting" operation...to dash the hopes of the citizens, and undermine their trust in their own leadership. I think they just "want Compton BACK"...lol Too late.